Play 3 complete games against 3 different players at our Fireside event, and this special Fireside card back is all yours! If you win your bracket at our event, you will be put forward for the Fireside Gathering Championship Qualifier, which could progress to the Fireside Gathering Championship, to Regionals, and ultimately to the Hearthstone World Championship! This inviting restaurant/coffee house has opened their doors, and welcomed us to host our event in their wonderful establishment. We are really appreciative, and would like to truly thank them for their contribution towards making this happen. You should really have a peek at their menu before the event, and have a look at what you want to grab to eat or drink, or just go check them out on their website. This wondefully generous company has helped us tremendously with marketing and organizing, and has been a great help in getting this event to become a reality. Feel free to visit their website! Clear your calendar - It's going down again! Cape Town's second Fireside Gathering kicks off the event on 26th of June, 2015! The Lounge will have food/snacks/beverages for sale. We will be having the tournament, accompanied by a good amount of social, ofcourse. There will most likely be some Hearthstone Cupcakes available - plans are being made. Everything is happening on the Europe Region (EU). The format of the tournament will be Double-Elimination, best-of-3. The Semi-Finals and Finals will be best-of-5. Each participant must have 3 classes/decks/builds ready. After a win, the deck used by the winner may not be used again for the rest of that match. To win the Semi-Final and Final, the player must win with all three builds/decks/classes. The Tournament brackets will be minimum of 8 players, maximum of 16. - The winner of each bracket stands a chance to progress to the FGCQ! - We keep track and influence our own seed scores. - The only matches that will influence your seed score are the ones played at our gatherings. 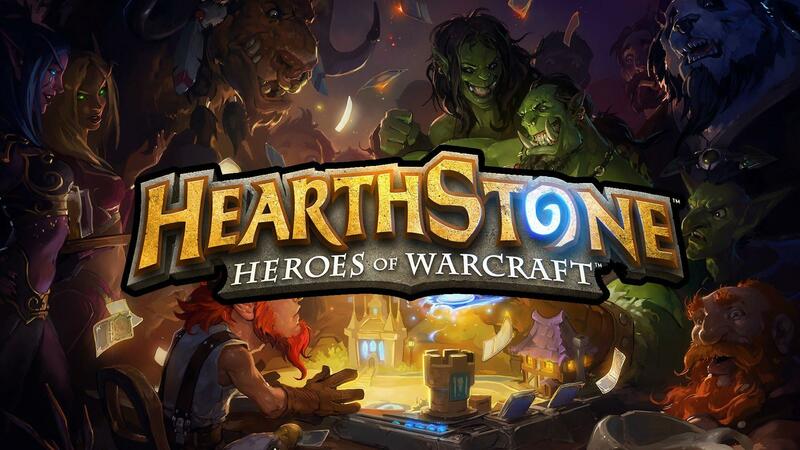 Entrance Fee for the Hearthstone Competition R30 (Spectators are R15). There are Gaming PC's set up for those who prefer desktops - first come first serve - R50. Your great attitude and excellent sportsmanship. Your Hearthstone login and your battle-ready decks. - There are ABSA and Standard Bank ATMs inside the mall. - Yes, 1st hour free, and if you stay until past 6pm, it is completely free. Notice: There will be no drinks/snacks/food allowed from outside. *Wi-Fi is only available to those who partake in the Hearthstone competition. *To compete with others in the Fireside Gathering, you must be on the same network. **Cards may only be used if more than R40 are spent. Come one, come all, bring a guest or 2, and hang loose. Established in 2012, Games On is not your average gaming centre. A gathering place and hot-spot for for all-things gaming from tournaments to launch parties of the latest games. We like to think of the Games On Lounge as a relaxed safe and comfortable location where the emphasis is on social gaming. With plush leather couches and top quality custom designed fittings you will be comfortable at all times and can enjoy a variety of drinks and snacks on offer to help refuel and work out those hand cramps. Stefanus A Fourie is the Co-Organizer of the event and Organizer of the Tournament, posted here so that you can put a face to the name. He will ensure that the format and progression adheres to the Blizzard Tournament Standards, whilst keeping it light, easy and fun. He has hosted and managed multiple LAN events in the past, and will now be embarking on the South-African (specifically Cape Town's) Fireside scene. The doors of the lounge is open for business. We will be taking registrations for the Tournament. If you have been at a gethering before, we only need your name. If you are new, we have a quick form for you to fill in, and then you are in. Entrance fee will also be taken at this time. The bracket for the Tournament will be generated based on the seeds and entries, and we will prepare to commence the Tournament. We start the first round of the Tournament. The finals will be recorded for FGCQ Entry purposes, and if possible, we will have a veiwing party set up as well. After the dust of the Tournament has settled, the winner(s) will be announced, and we will do the prize-givings and other fun stuff as the conclusion of the event. Receive invitations to future events (VIA Email)?